Jim Siemens presenting his argument before Judge Zachary, Chief Judge McGee and Judge Calabria. Jim Siemens traveled last week to the mountain town of Sparta, North Carolina to present an oral argument before the Court of Appeals. 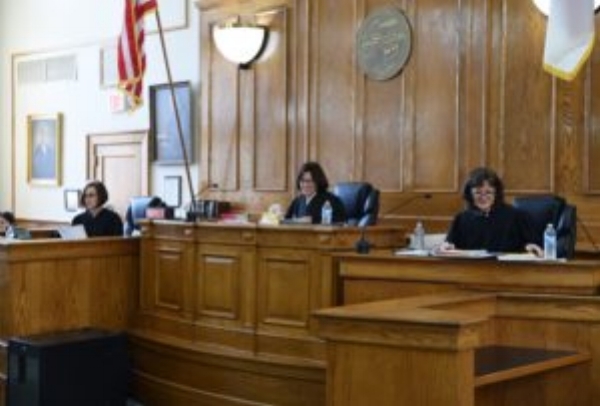 The argument was part of a special session celebrating the 50th anniversary of the NC Court of Appeals, holding a session of court in a hometown or county with a special connection for each judge. Jim’s case followed a criminal case from Watauga County, and the session drew a small crowd from the Sparta community. Jim appeared before Chief Judge Linda McGee, Judge Valerie Zachary and Judge Ann Marie Calabria in the Alleghany County Courthouse. He argued in support of three orders on the issues of equitable distribution, alimony and child support. 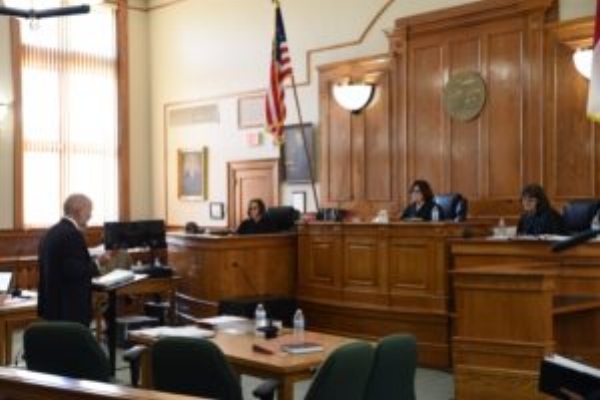 All three orders were drafted by Jim and entered last year by the district court judge presiding in Buncombe County, and are now challenged on appeal by the Defendant. Jim defended his positions on valuing marital assets including retirement accounts and real property; the use of date of distribution exchange rates to value Brazilian real property; the application of the terms of the parties’ premarital agreement for an equal division of the marital estate; and determining the Plaintiff’s status as a dependent spouse for establishing terms of alimony. After Jim’s strong argument before the panel, he now waits for a decision from the Court. More information about the judges on the panel and the Court of Appeals of North Carolina can be found on nccourts.org. More information about the special session can be found on the Twitter page for the NC Judicial Branch. Jim arguing before the N.C. Court of Appeals. Photo by Chris Mears/NC Judicial Branch. Judge Calabria, Judge McGee and Judge Zachary. Jim answering questions from the panel. Alleghany County Courthouse in Sparta, N.C.